We understand the trouble of going through the extensive and elaborate airline reservation process and we aim to eliminate it for you. Allow the professionals of Guru Kripa Tour & Travels to perform our well-known Airline Ticketing Services from Ujjain, Madhya Pradesh. Just let us know your desired number of tickets and dates and we promise to deliver better than your expectation. 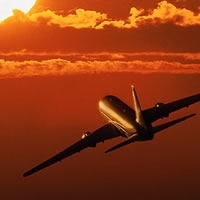 We boast of our proficiency in providing Airline Tickets on a short notice as well. Associate with us and spare yourself the bother and inconvenience of making offline reservations.